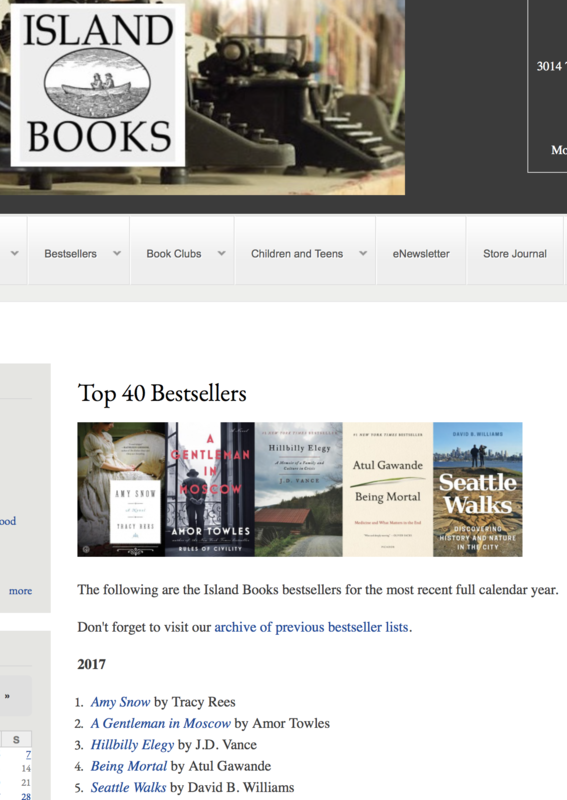 Wow, I just discovered that Seattle Walks was the number 5 bestseller at Island Books in 2017. That’s an amazing honor. (Mostly I am simply pleased to beat out that guy named Tom Hanks.) Thank you to the store and their great support of regional authors. We are so blessed in the Seattle area to have so many astounding local independent bookstores. Let’s do all we can to support them, particularly on April 28, Independent Bookstore Day.